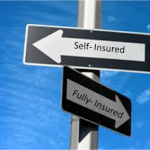 Private Healthcare Exchanges: Fully Insured or Self Funded? Every day there seems to be an announcement for another new private exchange; brokerage firms, consulting practices, health plans, associations and other organizations are creating and launching private exchange solutions for their members and clients. As of September 2014 there are at least 150 private healthcare exchanges and marketplaces announced or launched in the U.S. market. Although this concept is not new, private exchanges are getting a lot of attention this year. Employers of all sizes are faced with increasing healthcare costs and are looking for alternative options, making private exchanges a hot topic among employers and HR professionals. Some private exchanges allow employers to choose the funding methodology that best fit the employer’s needs. 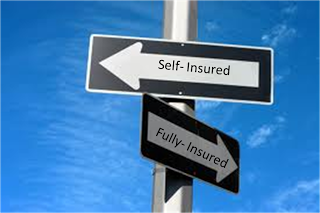 This means that the employer may choose between two different funding methods: fully insured or self-funded. For example, there are private exchange strategies that offer “fully-insured” group health plans. In a fully insured model, the employer contracts with an insurance company, effectively shifting all of the health risks of its employees to the insurer. Private exchanges may also be utilized to offer “self-insured” group health plans to employees. This allows the employer to continue to manage the employees’ utilization of health care while retaining the risk.